The notorious hacker Anonymous has announced their respond to North Korea regarding the Sony hacking incidence. These hackers identified as Guardians of Peace or #GOP are alleged to be on North Korea’s group and compared to the group Anonymous, which Anonymous has conveyed agreement with #GOP on some matters. 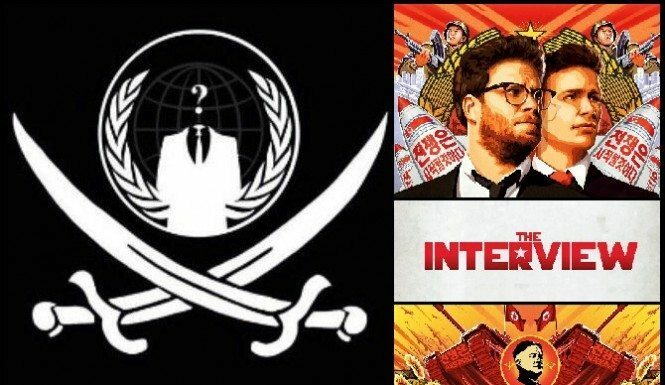 Nevertheless, now the Sony Pictures has pulled their ‘The Interview’ film from theaters in retort to the hacking incident and threats, Anonymous has turned their attention to North Korea in a less friendly manner. Thursday evening up to Friday morning, one of the many Anonymous accounts on Twitter has provided respond to the Sony Hacking and their decision of pulling the film, implying they will offer the movie to the whole world themselves. Then anonymous has touched a wider interpretation that allowing country’s dictator in making decisions regarding the freedom of speech in America does not set a great practice. In fact, they are not alone with this thought. CNBC said that President Obama called the Sony’s decision regarding the hack is a mistake last Friday. A lot of Hollywood people also have similar statement telling that North Korea should not decide on what is shown in the United States theaters, and Sony Pictures is giving in into terrorism. Anonymous then gives their promise ‘The Interview’ to the world this Christmas and to clear their status regarding the Sony hack telling they are not on either side, they just wanted to watch the film too. Many theaters have discussed on showing ‘Tem America’, a film that also includes a less-favorable picture of Kim Jong Un of North Korea to replace “The Interview’. However, NPR said that Paramount Pictures has pulled the movie too after a day of showing. Anonymous viewed this being part of the pattern and suggested that this may go further. Because of what happened, Anonymous had given their final statement that ‘Anonymous will take their response to the Sony Hacking and North Korea as well. Prior to that, Anonymous took systems offline: the Westboro Baptist Church site, the police departments and a lot more. Anonymous has not yet revealed what they are aiming to do with regards to North Korea regarding the Sony hacking incident; however, viewing the past efforts of the hacker suggested that Kim Jong Un might also see how their official computer systems malfunction soon.